Where is Bears Den Cabins? 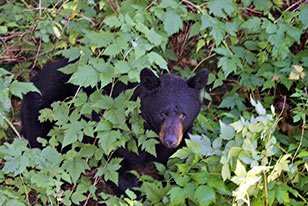 How do I get to Bears Den Cabins? How can I reserve my cabin or lodge space? What is the average temperature of Cordova during the summer months? How far are the cabins from the airport? How far are the cabins from the town of Cordova? What is included in the cabin rental? Do I need to rent a vehicle or boat? Do you provide any fishing gear? What type of license(s) do I need for my trip? How much will they cost? We're nestled at the edge of the Chugach National Forest and the Prince William Sound in Cordova, Alaska. You can travel by air with Alaska Airlines or Era Aviation, or on a ferry with the Alaska Marine Highway Ferry System. You can make your reservations online or call us at 907-424-7168. Between 50 and 65 degrees Fahrenheit. After leaving the airport, take a left and drive 6 miles. Take the first road to the left. Drive almost a mile (to the end of the road) where you will see the main house and the cabins. We are 6.5 miles from town. Yes, but we prefer cash or checks. Since the cabins are fully equipped, you can buy food in town and prepare your meals there. Each cabin has its own charcoal grill. Also, there are several great restaurants to eat at in town. Kitchen Appliances, pots, pans, dishes, etc. It depends on the time of your visit. May-August 4th rates include the fully furnished cabin and use of kayak or canoe, with an optional vehicle and/or boat. In August and September, all cabins come with a car or van and boat. We have 15 river boats, all either 14 or 16 ft long. Each have Honda 4 stroke outboards. Our fishing boats come equipped with anchors, oars, totes, fishing nets, and required seat cushions and life jackets. You may enjoy hiking, rafting, glacier viewing, picnicking, and other wonderful relaxing and exciting activities for the whole family. The Shorebird Festival occurs in May each year. The Salmon Jam is in July. In September, don't miss the Fungus Fair. Campfires, fireworks, swimming are allowed. In the winter there's skiing, snowboarding, and extreme skiing as well as the Iceworm Festival. Plan a visit to the Million Dollar Bridge, Child's Glacier, or the local Cordova Museum while you're here. 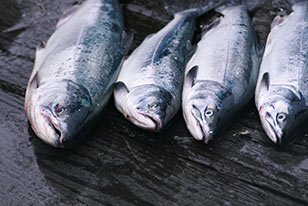 Charter fishing in the Prince William Sound is available spring through fall. Find out more about Cordova, Alaska - visit the Chamber of Commerce website for events and more information or visit our Area Attractions page. For a fishing trip, bring fishing gear and clothing. Also, bring your own fillet knives and vacuum packing equipment if you want to process your own fish. If you want to cook your fish, but you need assistance, we will help you or demonstrate how to filet your fish. We provide fishing nets and totes for your salmon. License(s) required and costs depend on several factors including what you're hunting/fishing for, and whether you're a resident, nonresident or military. 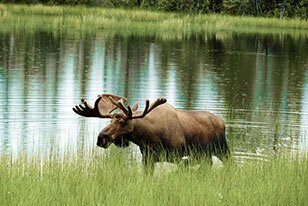 You can find all the details on the Alaska Fish and Game website. It depends on what you'd like to hunt for. World class salmon fishing season is May through September for silvers and sockeye. Deep sea fishing is available spring through fall. Have a question that we haven't answered here? Just send us an email or give us a call at 907-424-7168. We look forward to seeing you soon at Bears Den Cabins!